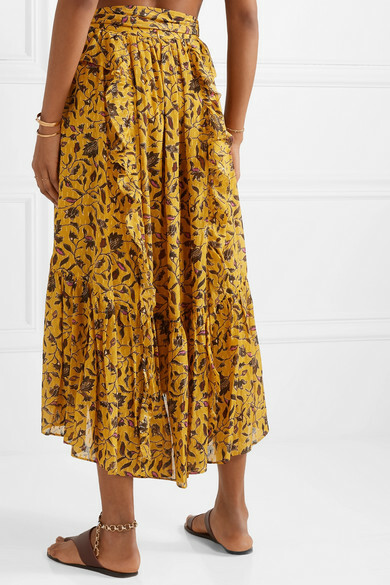 Ulla Johnson's Spring '19 collection celebrates traditional techniques from around the world, but each piece still has her signature bohemian touch. 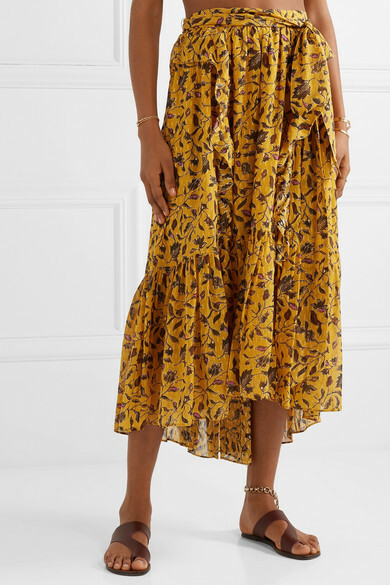 Woven with shimmery threads and printed with a floral motif, this lightweight silk, cotton and Lurex-blend 'Fae' skirt has flouncy ruffles and a self-tie belt to define. 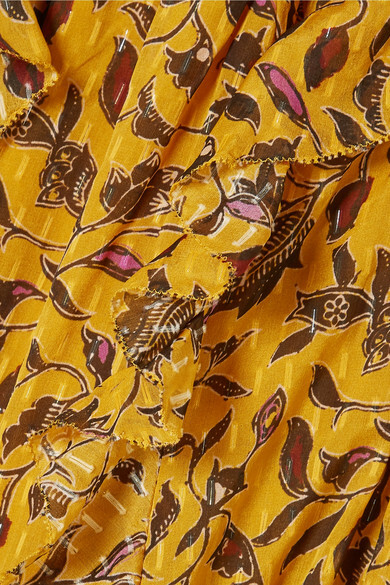 Wear it with a tucked-in camisole or or the matching blouse. Shown here with: Faithfull The Brand Top, Ulla Johnson Tote, ATP Atelier Sandals, Laura Lombardi Anklet, Alighieri Necklace, Isabel Marant Rings, Chan Luu Cuff.